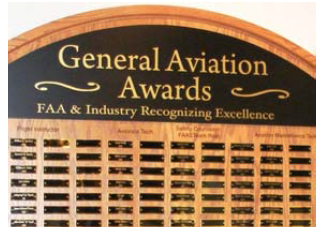 Jon David Monti of Gardnerville, Nevada has been named the 2019 Aviation Technician of the Year. From an early age, Dave showed a propensity for all things mechanical with an interest in disassembling and improving everything he touched. Understandably, he would choose to major in Mechanical Engineering for his collegiate studies. He was also infatuated with airplanes as a youngster, soloing on his 16th birthday and earning his private pilot certificate on his 17th. He went on to earn his instrument rating, commercial pilot certificate, aircraft and powerplant mechanic certificate, and inspection authorization.